Onam is the harvest festival of Kerala and is celebrated with gaiety and fervor. Following three months of heavy rain, the sky becomes a clear blue; brooks and streams come alive; lotuses and lilies are in full bloom and it is the time to celebrate and enjoy. Onam is celebrated unitedly throughout Kerala without the difference of caste and religion. All sects of communities take an active part in the celebrations and secular spirit is visible during the Onam celebration. Not only in Kerala, Malayalees living in all parts of the world celebrate Onam with complete passion and enthusiasm. Onam, the most prominent fiesta of Kerala is celebrated in the beginning of the month of Chingam, the first month of Malayalam calendar. It falls in August to September of Gregorian calendar and in Hindi month Bhadrapada. During Onam, God’s own country takes an entire new look in a truly traditional way. Carnival of Onam lasts for 10 days. 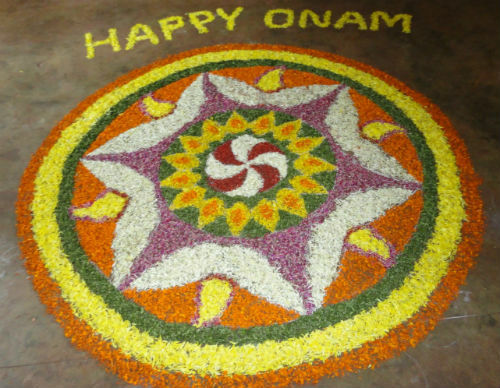 First day, Atham, is marked by intricate floral carpets, pookalam which is one of the most significant and popular parts of Onam celebrations. It is a dramatic decoration made of flowers that is displayed in the front courtyard of the house. The design becomes more intricate and detailed as more flowers of different colors are added to this pookalam on each passing day. Thiruvonam is the most auspicious day in the carnival of Onam. Elaborate prayers are performed. Most exquisite pookalam is prepared to welcome the spirit of King Mahabali back into their lives. During the ten days of carnival, Kerala’s rich cultural heritage comes out in its best form. All over the state, lots of activities take place. Pulikali performers paint themselves in the guise of a tiger whereas Kummattikali artists don an attire of plaited grass and a big wooden mask to entertain people. Vallamkali is another enchanting feature of Onam. It’s a colorful snake boat race held on the river Pampa. Hundreds of boatmen oared beautifully decorated boats amidst chanting of songs and cheering of spectators. Caparisoned elephants moving out in a procession presenting a regal view is the captivating feature at Thrissur. Cheruthuruthy, Kathakali artists make audience spellbound with their magical performance. Kaikotikalli, graceful dance performed by women is another enthralling event. That adds zest to the celebrations. The sports and games events are known as Onakalikal. Many rigorous sports like Talappanthukali, Kutukutu, Kayyankali Attakalam and Archery are part of Onakalikal. Swinging on a decorated swing that swings on a high branch is another traditional scene. One of the most important things without which any festival seems to be vacuumed is the special dish made on the festival. It’s always a lip smacking time. 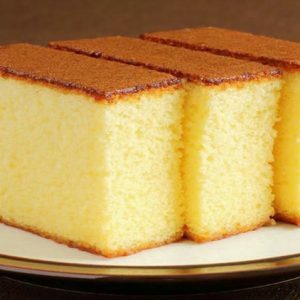 Malayalis are food lovers and Onam delicacies include extremely luscious Payasams, Uniyappam, Elayada, Achappam, Banana Halwa (Nenthra Pazham Haluva), Sarkkara Varatti. 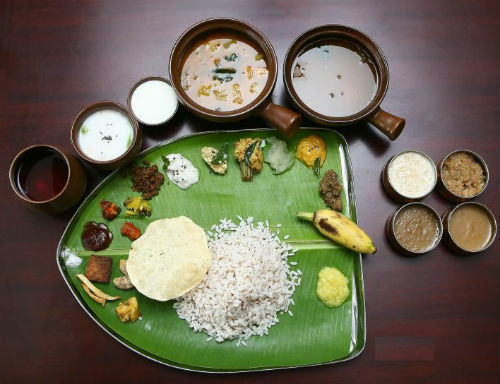 The most impressive part of Onam celebration is the grand feast Onasadya. Keralites are extremely passionate about this enormous lunch. Whatever may happen, they won’t miss this grand lunch. This has led to saying in Malayalam, ” Kanam Vittu Onam Unnanam”. It means that one should have the Thiruvonam lunch even if he has to sell all his properties. Onasadya is a nine course meal that contains 11 to 13 essential dishes. It is served on a banana leaf and people sitting on a mat laid on the floor have the meal. The serving of the delicacies is performed in a definite manner. Umpteen numbers of mouthwatering dishes are served. The serving begins from the left with ‘Upperies’ (deep-fried dishes). 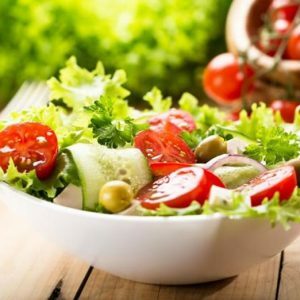 Lip smacking Onam delicacies include desserts, payasams or ‘pradhamans’, Thoran (Cabbage Thoran, Carrot Thoran), Aviyal, Pachadi, Erisseri, Olan, Pavakka Theeyal, Inji Curry, Kaalan, Pickles (Mango Pickle, Nellikka Pickle), Koottu Curry, Mor kuzhambu and Banana Chips. Plantain fruits also serve as a part of the meal. Onam is a great carnival that brings together people of different regions together to celebrate the rich cultural heritage of Kerala. Celebrate Onam with utmost pomp and gaiety. Feel free to comment or share your thoughts on this "Celebrate Onam with Grand Onasadya" article from Awesome Cuisine.